Well met on Audiko.net! 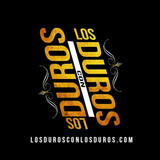 Just download a free LOS DUROS CON LOS DUROS ringtones for your iPhone or mobile. Cut your favorite line from your favorite audio track - Nicky Jam Feat. Kid Ink - With You Tonight (Hasta El Amanece, Ozuna Ft. Arcangel - Yo Te Quiero, Bad Bunny Ft. Farruko, Arcangel, Ñengo Flow & Ozuna - Diles, or any other track. Here you can receive your tone both in the MP3 and m4a formats, compatible with both mobile phones and iPhones. Just select a track, and choose free LOS DUROS CON LOS DUROS ringtones download option.